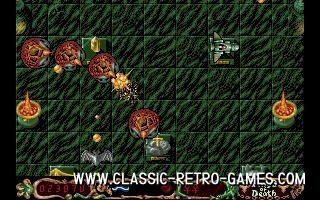 Wings of Death PC is a excellent remake of the Amiga shooter from 1990. The shooter is pretty much fantasy animal minded as your own character but also many enemies are winged animal like creatures. 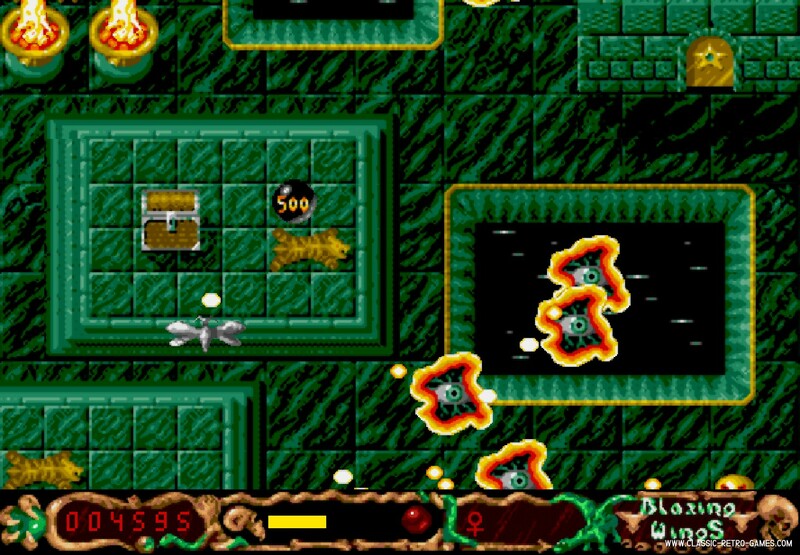 This Amiga classic is an excellent shooter and easy to play, mostly because a direct hit does not instantly kill, but only drains energy. 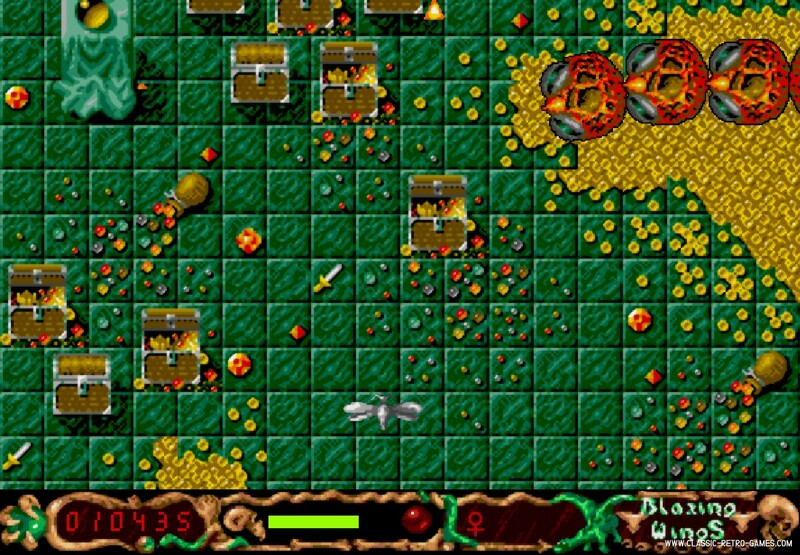 This PC remake of Wings of Death is free to download and play, even on Windows 10 without emulation. The soundtrack, graphics and gameplay are similar to the Amiga version and still it is a very good game to play. 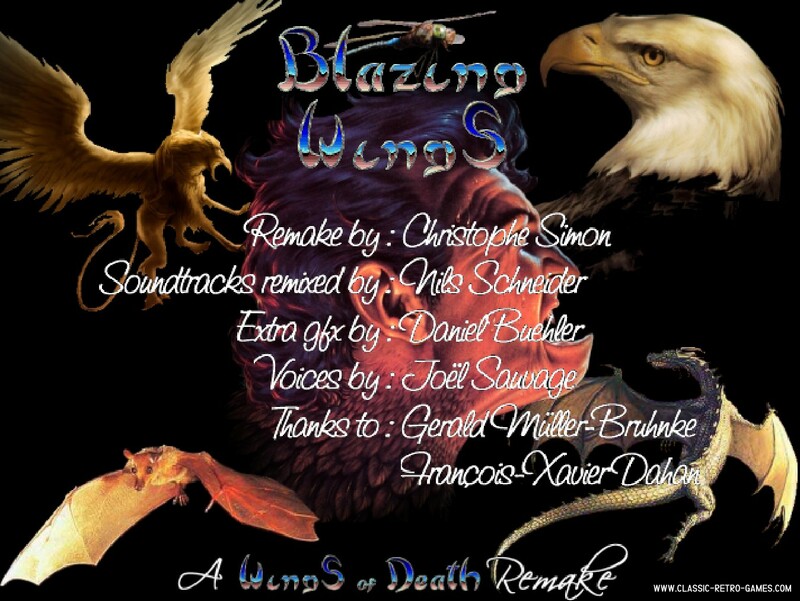 This remake was done with gamemaker by Christophe Simon and his team. Wings of Death was reviewed well back in the ninetees. It got an average of 74 out of 100. On of the critized elements was that the enemies are not always coming in predictable patterns, making it harder to beat the game. However, one could argue that is actually why it's so much fun to play. Enjoy this free PC remake of Wings of Death, download it and play! Currently rated: 4.3 / 5 stars by 8 gamers.